Congratulations to Hole In One Insurance Winner Keith Tiemeyer! Congratulations to Keith Tiemeyer of Harrodsburg, Kentucky, who made a hole-in-one during the Young Life Kentucky golf tournament on May 21st, 2012 at the University Club in Lexington! Tiemeyer aced hole #17 on the golf course, which measured approximately 170 yards and scored himself a set of brand new irons, compliments of his lucky 5 iron… and of course, Hole In One International! Although he did not win the insured Audi A4 which was out on the course that day, he still managed not to go empty-handed for his feat. That’s because when you purchase hole in one insurance coverage through Hole In One International, we give your players a chance to win 1 of up to 4 auxiliary prizes, depending on how many par 3 holes 165+ yards are on the course. If one of them are successfully aced, Hole In One International will pay them out a great prize, which is exactly how Tiemeyer received his! Want to make one of your golf tournament participants a winner? Give Hole In One International a call today at 800-827-2249 or email us for a free, no-obligation quote! Our pricing starts out at only $150 and includes free tee signs and tee markers, auxiliary prizes as well as a free $50 gift card for each player to FreeTeePrize.com, just for participating! 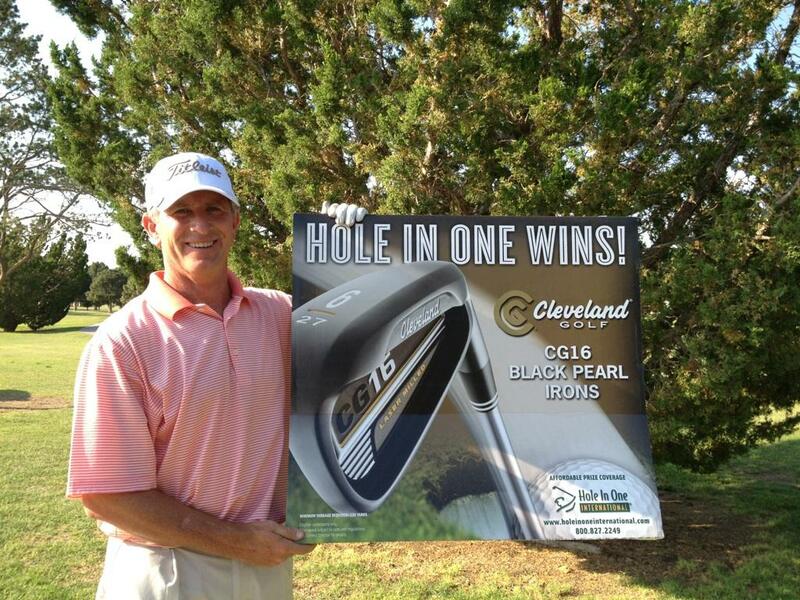 Home » Blog » Congratulations to Hole In One Insurance Winner Keith Tiemeyer!